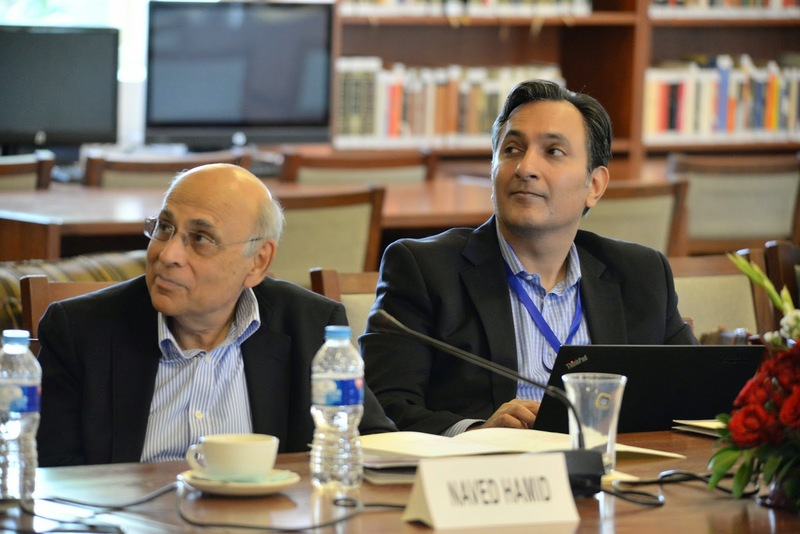 The Lahore School of Economics and the World Bank jointly organized a brainstorming session on poverty measurement and policy at the Main Campus on 17 April 2015. The session was intended to get an open discussion going on issues in the measurement of poverty, and its implications for policy, and to facilitate the formation of an independent expert group to guide the process of arriving at a credible methodology and process for measuring and monitoring poverty. Opening comments were made by Dr. Shahid Amjad Chaudhry, Rector, Lahore School of Economics; Mr. Asif Bajwa, Chief Statistician, Pakistan Bureau of Statistics; and Dr. Naeemuz Zafar, Ministry of Planning Development and Reform. Following that, Dr. Ghazala Mansuri, Lead Research Economist at The World Bank gave a presentation on “Poverty debate in Pakistan: What accounts for the disconnect between the data and perceptions?” This raised issues for discussion on lack of confidence in the quality of official surveys such as the Pakistan Social and Living Standards Measurement Survey (PSLM) and the Household Income and Expenditure Survey (HIES), lack of confidence in the official consumer price index as a measure of inflation faced by the poor, especially in rural areas, concerns about the basket of goods and the calorie threshold used for estimating the poverty line, and the method used for tracking trends. 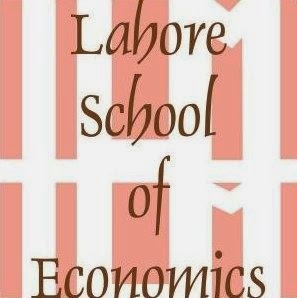 The Lahore School of Economics in partnership with Oxford University hosted a conference on Microfinance and Enterprise Development. The objective of the conference was to bring together speakers from microfinance institutions, donors, academics and practitioners from Pakistan and outside of Pakistan. During this one-day event there was a detailed discussion on current and future research on microfinance with the purpose to start a conversation on the roles research can play in the future to help the sector achieve its goals of poverty alleviation, financial inclusion and sustainable enterprise growth. The conference was conducted as part of an on-going project on a comparison of Demand for Microcredit and Microsaving in a Framed Field Experiment in Rural Pakistan, which is funded by Economic and Social Research Council-Department of International Development (ESRC-DFID). 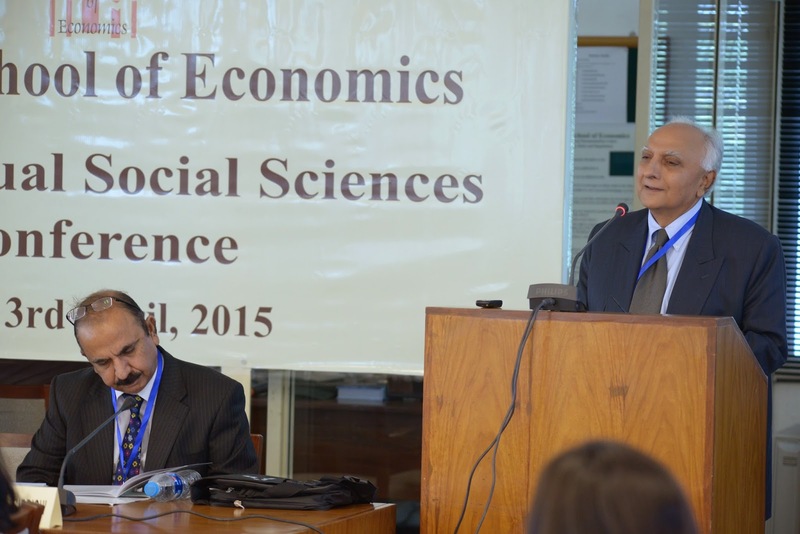 The conference started with welcoming remarks by Dr. Shahid Amjad Chaudhry (Rector, Lahore School of Economics). 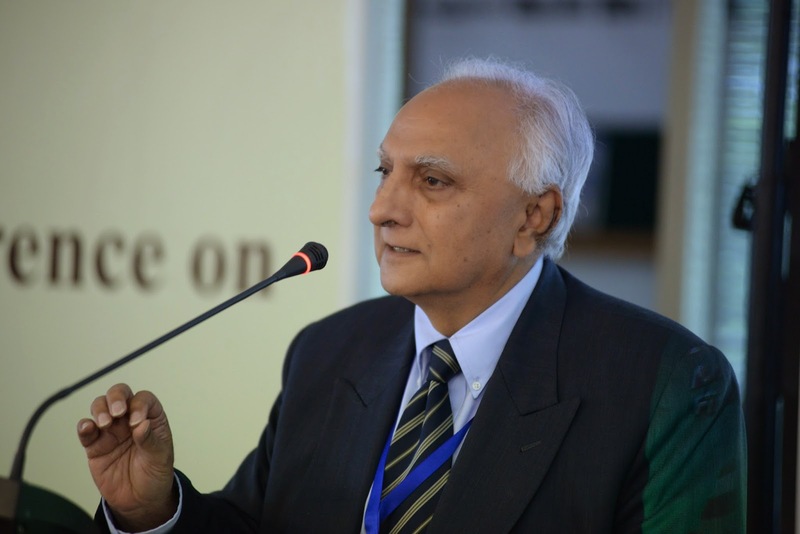 The keynote speech was delivered by Dr. Rashid Bajwa who showed that the microfinance sector in Pakistan has witnessed a tremendous growth – from 164 thousand borrowers in 2003 to 3.3 million borrowers in 2015. At present, there are 50 microfinance providers operating in the country. Moreover, the sector continues to attract foreign investment. 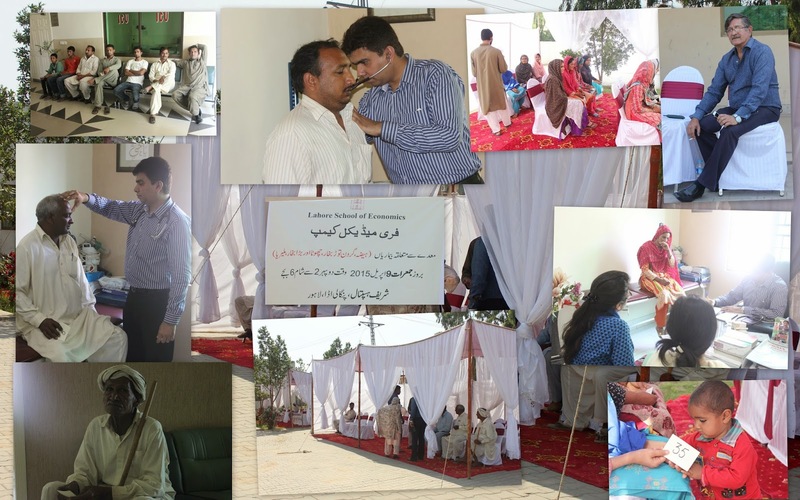 The Lahore School setup its first free medical health camp at Sharif Hospital, Burki Road on 9 April 2015. A team of 2 doctors were appointed to treat ailments ranging from basic muscular spasm to chronic stomach and intestinal disease. The patient turnover was overwhelming with a total of 135 people treated in a day. These patients were offered free consultation by Dr Bakir (General Physician) with the cost of medication funded by The Lahore School of Economics. It is the right time of the academic year as students will be applying for internships and jobs. 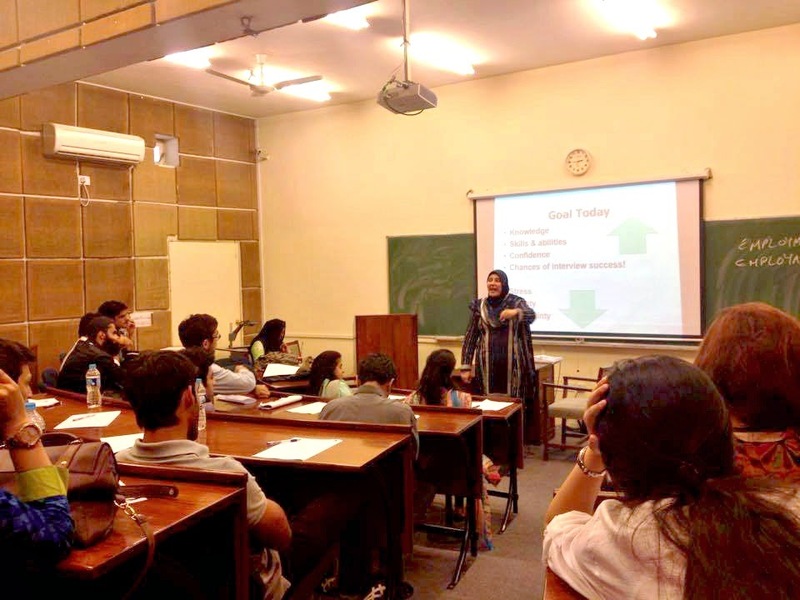 In order to orient students and prepare them for interviews, Management Society of Lahore School of Economics has conducted “Enhancing Job Interview Skills Workshop” on 8 April 2015 as a part of the corporate mentorship workshop series which are designed to train and facilitate students for their transition from campus to corporate. This workshop was conducted by Ms. Rumessa Naqvi. The workshop started with job interview role-plays and these role-plays were conducted to highlight the dos and don’ts of a job interview. 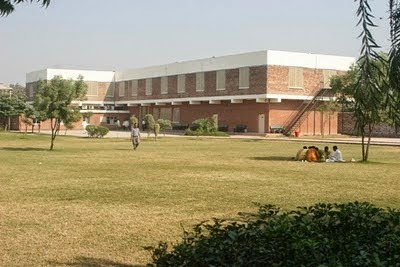 Later in the discussion, videos of mock interviews of former Lahore School student were also shown. With the help of these demonstrations of job interviews, Ms. Rumessa Naqvi reinforced the key skills for an ideal job interview. 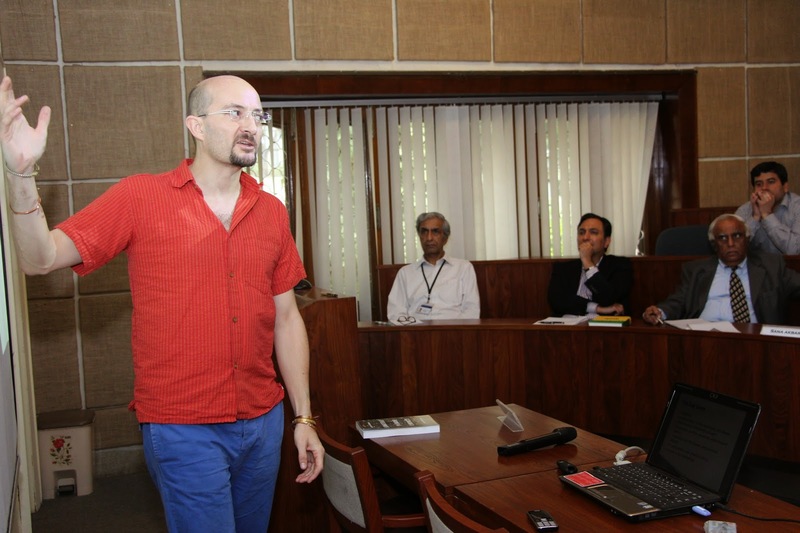 Mr. Azfar Hassan, founder and CEO Matrix Sourcing delivered a lecture a to the MBA students. The topic of his discussion was ‘Successful Rules of Marketing and the STAR Sale Strategy’, on which he imparted valuable knowledge to the attendees. He explained how these rules were applied in his organization and other successful firms such as Nike and Adidas. He discussed a variety of scenarios such as the decline in international sales of Pakistani products due to security issues and possible solutions to this challenge. 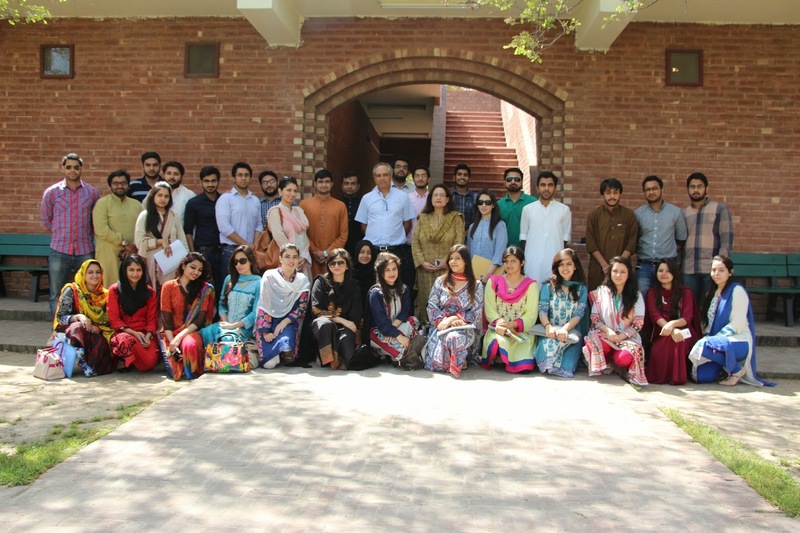 Mr. Murshed Alam, Director Sourcing Levi and Strauss Pakistan, delivered a lecture to the graduating MBA students of the Lahore School of Economics on March 20, 2015. Mr. Mursheed Alam explained the concept of international marketing. He then briefly explained the three core stages of international marketing which were preparation, execution and follow through. He stated that a company should understand its core operations, further it should identify its value, have confidence to enter into new markets and convey to its customers its presence in the market. It should build relationships with its customers and always exceed their expectations. The Third Annual Business Conference on Managing Business in Pakistan was held at the Lahore School of Economics, Main Campus, Burki Road, Lahore. 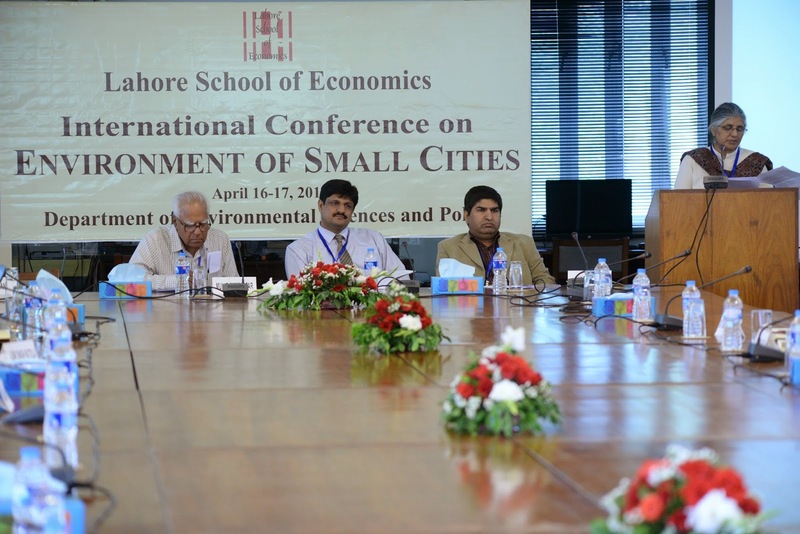 The Conference was opened by Dr. Shahid Amjad Chaudhry, Rector, Lahore School of Economics. There were three sessions on the first day. The first session was chaired by Mr. Nadeem Naqvi, Managing Director, Karachi Stock Exchange (KSE). It presented some valuable insights about Global Finance, Capital Markets, Investment Opportunities and Valuation Practices in Pakistan. The key note speakers included Mr. Akif Saeed, Commissioner SECP, Dr. Nawazish Mirza from the Lahore School, Mr. Muhammad Sajid from JS Private Equity, and Dr. Imtiaz Ul Haq from LUMS. Lahore School Conference on Recent Advances in Mathematical Methods, Models and Applications concluded on 12 April, 2015. 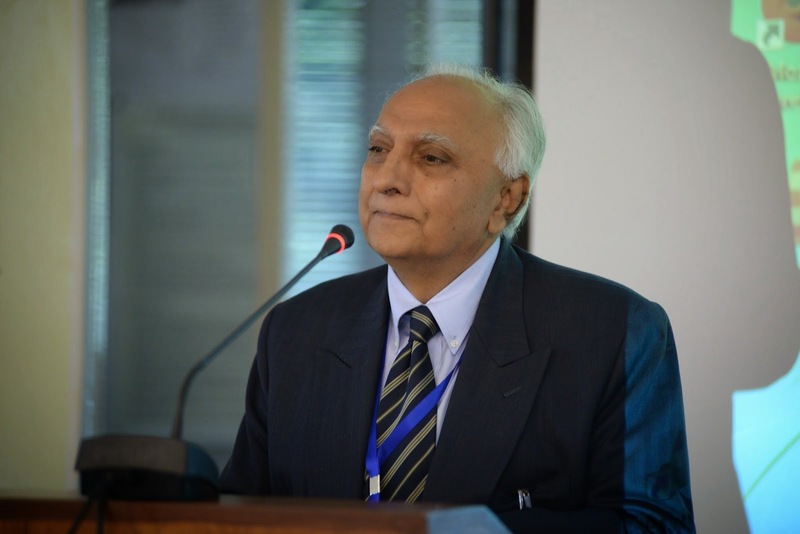 In concluding remarks Dr. Shahid Amjad Chaudhry, the Rector Lahore School of Economics appreciated the work presented during two days of the Conference. Earlier on 11 April 2015, Dr. Mujahid Abbas from Department of Mathematics, Syed Babar Ali School of Sciences & Engineering, Lahore University of Management Sciences spoke on “Characterization of Fuzzy Metric Completeness”. This talk ended with an engaging discussion between researchers working in the field of Metric spaces. Second speaker of the day was Dr. Asghar Qadir who presented paper on “A Generalization of the Goldbach and Twin Prime Conjectures.” Last speaker of the first session was Dr. Asma Khalid from Center for Mathematics and Statistics, Lahore School of Economics. Dr. Asma spoke on Incompleteness in Interval Valued Fuzzy Preference Relations. Book titled Economic Growth and Development: A Comparative Discussion by Dr. Matthew McCartney from Oxford University was launched by the Graduate Institute of Development Studies (GIDS) of the Lahore School of Economics on March 24, 2015. 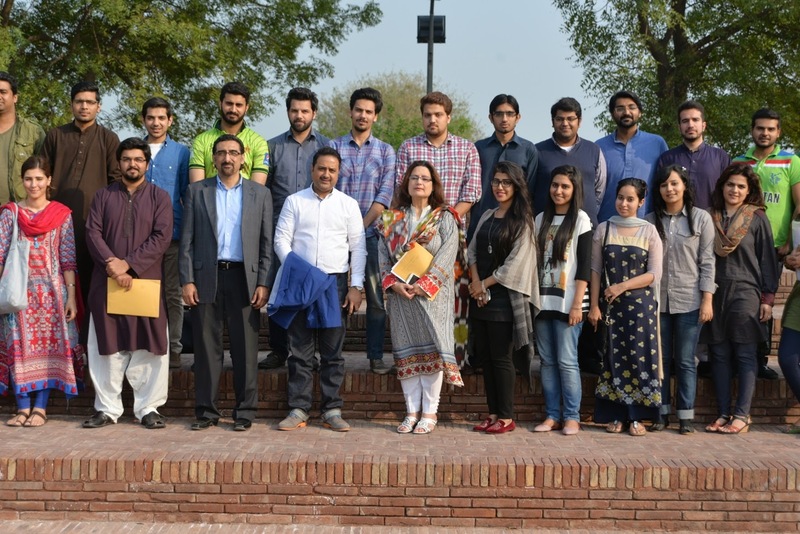 Dr. McCartney was accompanied by a group of PhD Scholars from Oxford University who were visiting the Lahore School of Economics under a PhD student exchange program (under which a group of Economics PhD students from the Lahore School of Economics had already visited Oxford University). The day started with opening remarks by Prof. Sajjad Naseer who appreciated the commitment of Dr. Shahid Chaudhry, the Rector Lahore School of Economics, towards expansion of the discipline of political science within the School. He elaborated upon the theme as an effort to see Pakistan in terms of its future possibilities rather than digging into the past. The opening remarks were followed by a keynote address by Mr. Khursheed Mahmud Kasuri who discussed the geopolitical importance of Pakistan and the political perils and challenges it places it into. He expressed his opinion that we must learn from the experiences of the past and make decisions based on our national interests. 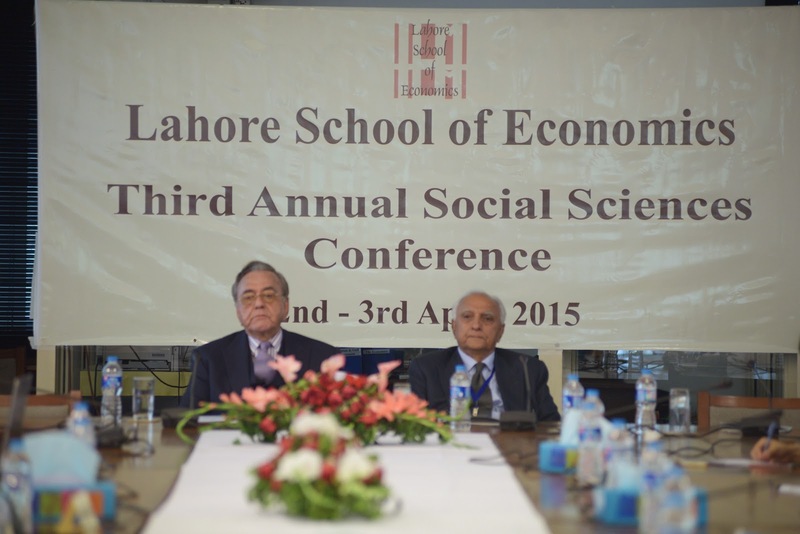 The Third Annual Social Sciences Conference of Social Sciences is being held at the Lahore School of Economics on April 2-3, 2015. Scholars, academician and researchers of renowned universities from all over Pakistan are attending the Conference. 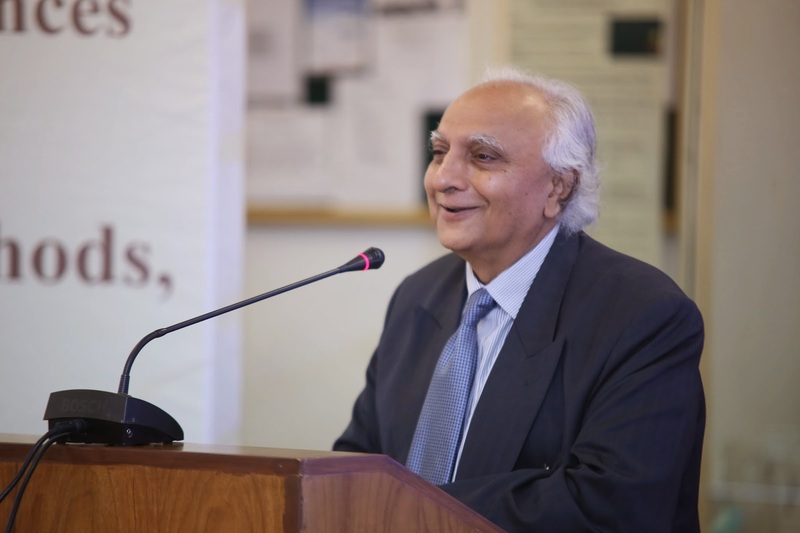 The inaugural session of the day ‘Living by Narratives” opened by Dr. Shahid Amjad Chaudhry, the Rector Lahore School of Economics, who welcomed the guest speakers and discussed the importance Lahore School assigns to research in the fields of Social Sciences and Humanities. His address was followed by the key note address by the Prof. Shaista Sonnu Sirajuddin, Former Chairperson, Department of English and Dean of Humanities, University of the Punjab. She while elaborating upon the theme of conference discussed the inevitability of man’s dependence on the narratives both as cognitive tools and for the reclamation of individual identities. 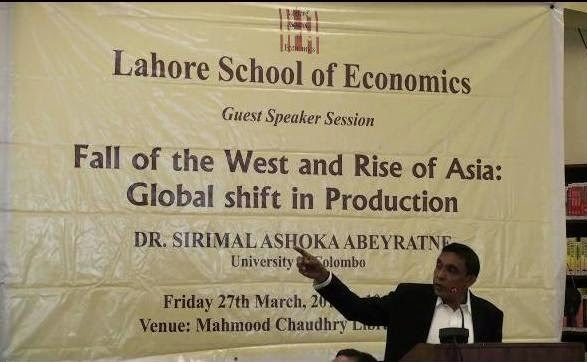 Dr. Sirimal Abeyratne, the Professor of Economics at the University of Colombo gave a presentation on the “Fall of West and Rise of Asia: Global Shift in Production” in the Mahmood Chaudhry Library which was attended by senior faculty and large number of Economics students. Dr. Sirimal explained in the session how the economy was changing over the years and the production was shifting from Western high income countries to the South Asian countries. During the economic recession in the early 21st century, while high income countries faced negative growth rates, Asian countries somehow still managed to grow significantly causing a global shift in production from advanced to developing countries. A larger portion of the growth was contributed by China and India.